PARTY TABLEWARE PAPER PLATES SOLID COLOUR / STRIPE / DOTS / CHEVRON DESIGN. item 5 BIRTHDAY ROUND PAPER PLATES TABLEWARE PARTY PLATES - 16 x 9" -MANY COLOURS! -BIRTHDAY ROUND PAPER PLATES TABLEWARE PARTY PLATES - 16 x 9" -MANY COLOURS! 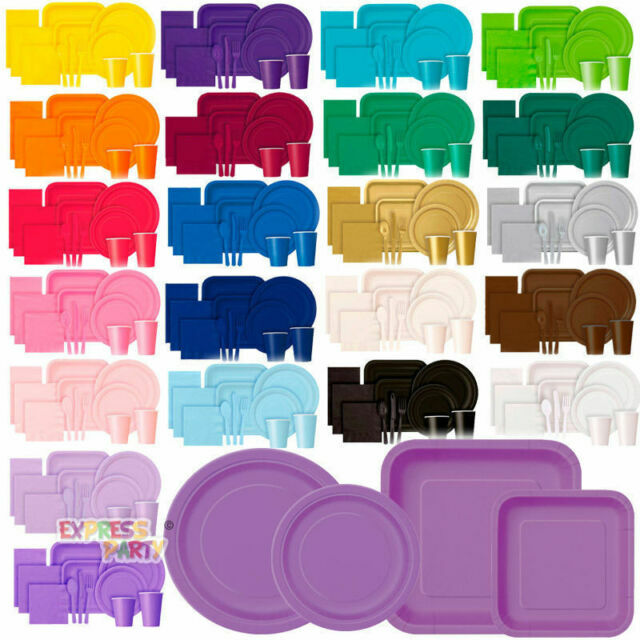 item 6 BIRTHDAY PLATES TABLEWARE - PARTY PLATES - 16 x 9" -MANY COLOURS! -BIRTHDAY PLATES TABLEWARE - PARTY PLATES - 16 x 9" -MANY COLOURS! These plates are very good quality. They are firm, so will not bend and deposit your food on the floor! They look attractive, toon so are ideal for a social occasion.